If you would like to designate a specific fund, make a donation in someone’s honor, or identify a Birdathon team member to whom you pledged support, you will have the option to do that when you review your payment. Simply indicate your preference in the text box entitled Special Instructions when you review your donation before submission. Note that for 2019, all BIRDATHON donations received will go directly toward our campaign to help raise funds to build a large bird flight cage at Nature’s Vein Wildlife Rescue and Education in Perkins, OK. Nature’s Vein is a 501c(3) non-profit center for wildlife rehabilitation and education, owned and operated by Jessica Torres. Jessica holds multiple permits for rehabilitation of wildlife, but she needs to build a flight cage (example) to qualify for additional permits to provide care for larger birds, several of which are brought to her for medical care each year. Your support can help some of those birds get nursed back to health and released back to the wild. Whether donating $2.00 or $2000.00, we’re delighted to have your support! You’ll next receive an email confirmation of your tax-deductible donation from “service@paypal.com” with the subject line “Receipt for your donation to Payne County Audubon Society.” This email will then serve as your receipt for the donation. THANK YOU for your support during BIRDATHON or at any time of year! Your assistance translates directly into programming right here in our own community. You can also support the PCAS every time you shop Amazon.com through the AmazonSmile Program! When you shop at AmazonSmile, Amazon donates 0.5% of the purchase price to Payne County Audubon Society. Bookmark this link and support us every time you shop. The best way to support the PCAS? Form (or sponsor!) 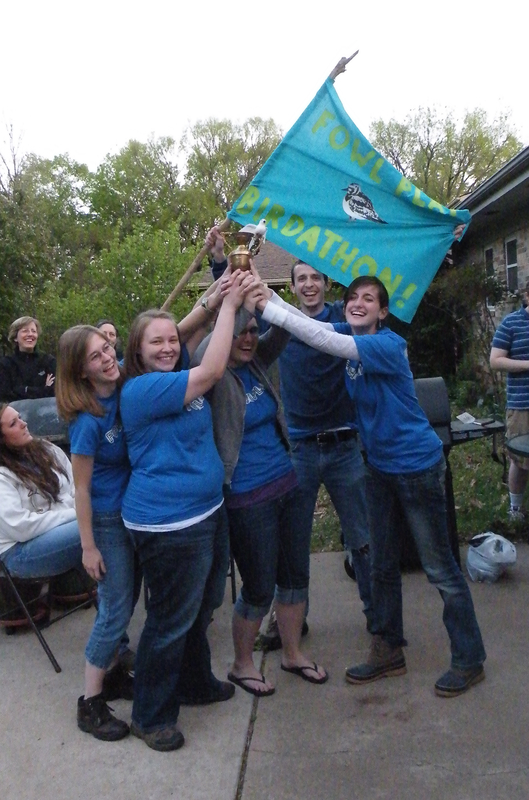 a team for BIRDATHON!